2019 is our biennial fundraiser year. This year you can mail in your donation in the self-addressed envelope in the fundraising packet, or you can donate directly online. 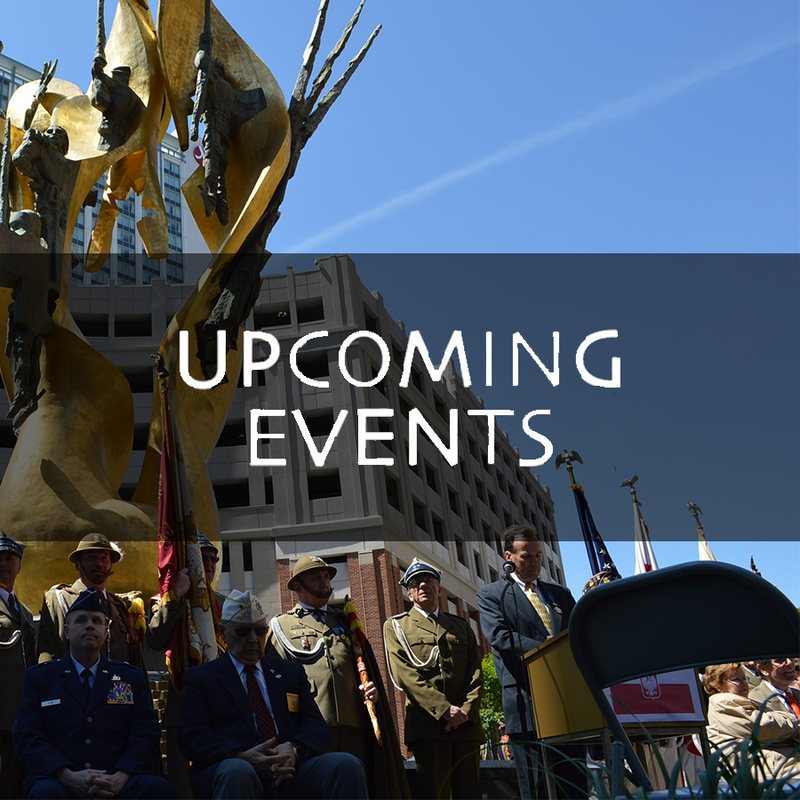 With your generosity, we can continue to hold events, provide upkeep and honor the fallen heroes. Thank you for your support of the National Katyń Memorial Foundation. We are pleased to share Polish Radio Zagranica's Report on the 18th Annual Katyń Remembrance in Baltimore on April 29, 2018. To view the article click here: Polonia w USA uczciła rocznicę zbrodni katyńskiej. Each year a bilingual Mass is held at Baltimore’s Polish church, Holy Rosary, and there is an annual remembrance at the Monument site which is attended by the Polish Ambassador or a representative, as well as other dignitaries and representatives of many local, regional and national Polish organizations. Displays are set up at community events and at Polish National Alliance, and information can be found at Baltimore’s Visitor Center. It is through these efforts that the Foundation will continue to promote and preserve the story of the Katyń Massacre so that future generations may learn from this tragic event.